Release Message: Alpha 5 (Richard Steven Horvitz) needs to free the trapped Rangers, so they can destroy the monster, and reach the heavily guarded Rock of Time to undo the spell. 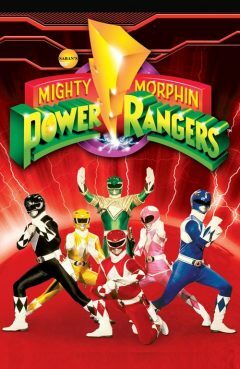 Description: A young Bulk and Skull are on the run with the picture of the Rangers which is exactly what Lord Zedd, Goldar, and the monster are after. Alpha 5 is charged with regaining the picture so that the Rangers will be freed. Once released, they must destroy the monster as well as the heavily guarded Rock of Time to undo the spell.